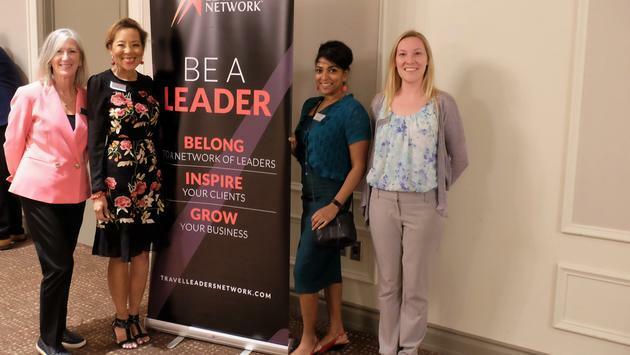 L to R: Suzanne Fleming, BDM Eastern Canada, Christine James, VP Canada, Anju Bliss TL Network Canada and Polina Rabenok, TL Network Canada. Boutique is great when you’re staying at a hotel. When you want your agent to get you that best price, however, big might be better. 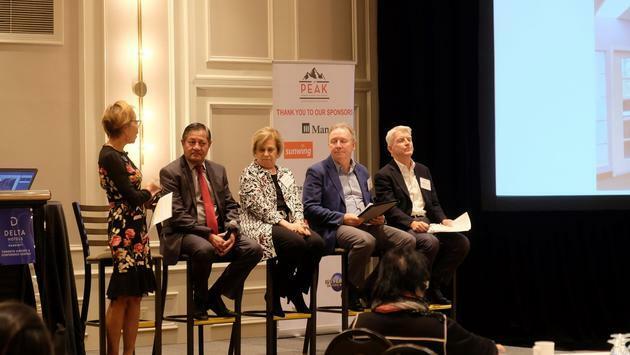 I sat down with TL Network Canada Vice President Christine James at the group’s regional conference in Toronto on Thursday, which was labelled PEAK: Programmes, Educate, Aspire and Knowledge. James said one major advantage is the size of the network, with some 6,800 agents in North America alone. TL Network Canada VP Christine James leads a panel talk in Toronto at the TL Network's regional conference. James said she was intrigued to learn that a recent study found millennials are relying on travel agents. Asked what issues in the industry concern her, James was quick to point to fraud protection. Several airlines have recently reported recent data breaches. There also have been data safety issues from Google, Facebook and other major organizations in the news of late. “We’re compiling a data base right now and asking for everyone’s best practices, so we can avoid problems,” she said. 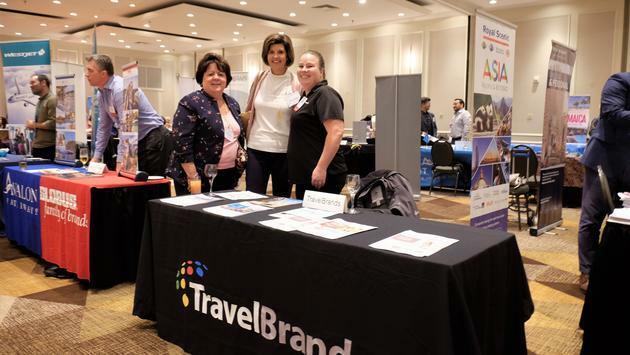 Travel Brands was one of the suppliers at the Oct. 11 TL Network Canada fall regional conference in Toronto. Asked to list major opportunities on the horizon for folks in the agent business, James mentioned the need for agents to become specialists. 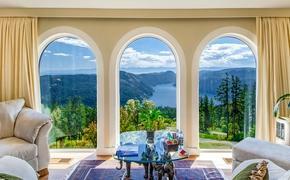 Agents lauded the network during a mid-afternoon panel discussion. “TL Network Canada is a very exciting consortium to be a part of,” said Stephen Marshall of Glenny Travel in Fort Erie. 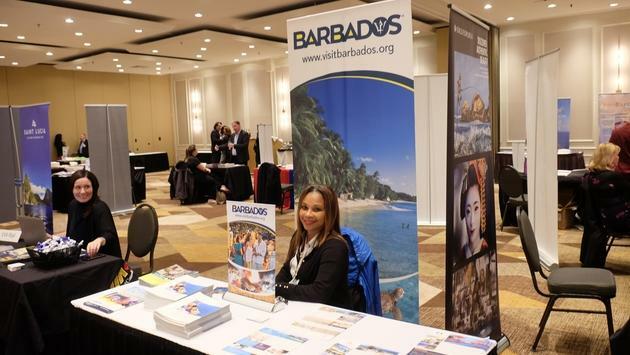 Brita Greaves of Barbados Tourism Marketing Inc. at the TL Network Canada fall regional conference in Toronto. Michael Heflin, SVP Hotel Relations for Travel Leaders Group, talked to agents about how different companies work with or treat their customers. Harley Davidson sells a lifestyle, like joining a family, he said. He also related a great story about Delta Airlines. 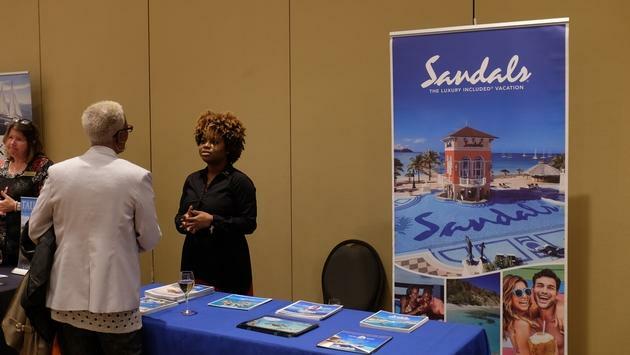 Sandals Resorts was an official supplier at the 2018 TL Network Canada fall regional conference in Toronto. Travel Leaders Network is comprised of more than one third of North America’s leading travel agencies and is now the largest seller of luxury travel, cruises, river cruises and tours in the travel agency industry. These events, for member agents, will take place in October as part of the organization’s 20th Annual Canadian Fall Regional Conferences. The locations for this year’s Canadian Fall Regional Events include Toronto, Edmonton and Vancouver. The Edmonton event will be held Oct. 23 and the Vancouver conference is Oct. 25. Following the educational sessions at yesterday’s event, agents met and networked for an hour with more than 30 supplier partners, ranging from G Adventures to Saint Lucia, Jamaica and Air Canada Vacations. That was followed by a full dinner, where several grand prizes were drawn; including airline tickets from Sunwing and WestJet Vacations, travel certificates, gift cards and more.